The word megane is Japanese word for “eyeglasses” and is synonymous with “person wearing glasses” throughout anime culture. 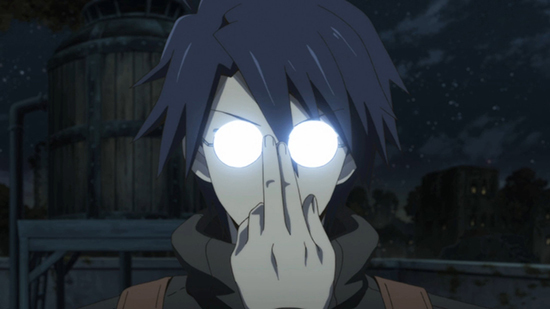 Among the many character tropes in anime, this “glasses character” is one of the classic favorites. With a reputation for being reserved, analytical, and interested in logic or discovery, bespectacled characters are, more often than not, extremely intelligent. 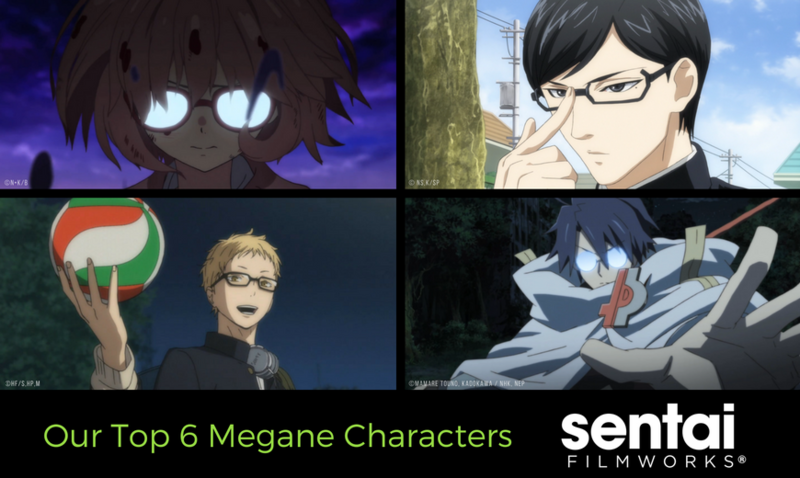 Of course, there are so many awesome megane anime characters that we just had to compile some of our favorites. Cool, cooler, coolest! That’s this megane’s tagline, and he does not disappoint. 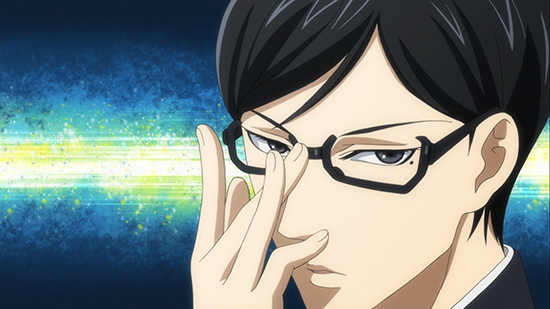 Sakamoto manages any task with ease and pizzazz, all the while sporting his classy spectacles. Suave and collected, Sakamoto is certainly a prime example of megane power. Shiroe isn’t called the Villain in Glasses for nothing! Shiroe handles the shift from real life into the database like the master strategist he is. Capitalizing on the laws of the new world he finds himself in, Shiroe re-imagines the economy, takes over a building that might as well belong to the gods, and creates a working semi-government almost overnight. 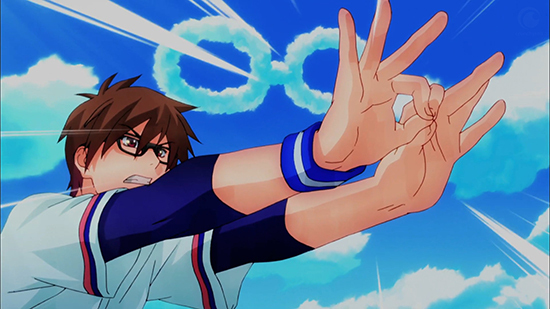 That’s the megane spirit, for sure. 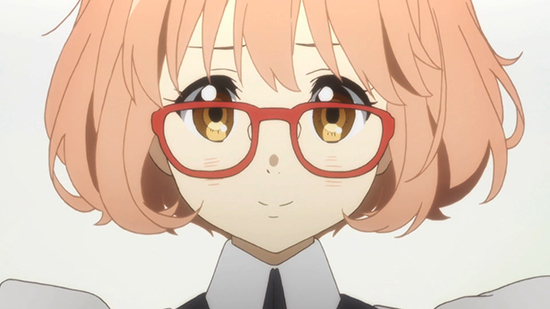 Mirai is a miraculously adorable and agonizingly heartbreaking glasses character. The only surviving member of a spirit world warrior clan gifted with blood manipulating powers, Mirai leads an isolated life trying to make ends meet. However, when she tries to kill Akihito Kanbara, a glasses enthusiast who is far more than he appears, Mirai may have just found a friend. How unpleasant. Most often apathetic, this megane is openly cold and standoffish, even to those closest to him. Tsukishima’s chilly demeanor may not exactly hide a warm center, but the indifference certainly hides passion and perseverance. 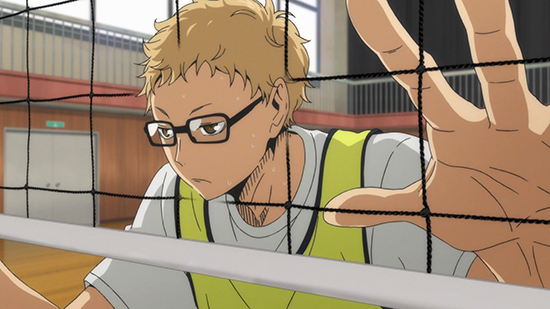 Tsukishima can hold his own even among his more intense teammates, but when (with a little pushing) he taps into his competitiveness, he can become a force to be reckoned with. Yukika from My Love Story!! is the definition of dedication. Ever since Suna saved her from a rogue dodgeball in grade school, Yukika’s crush on him only grew. Without fail, every Valentine’s Day, she sent an anonymous letter to Suna. When she finally builds up the courage to confess her feelings to him, Suna, well… that’d be a spoiler. 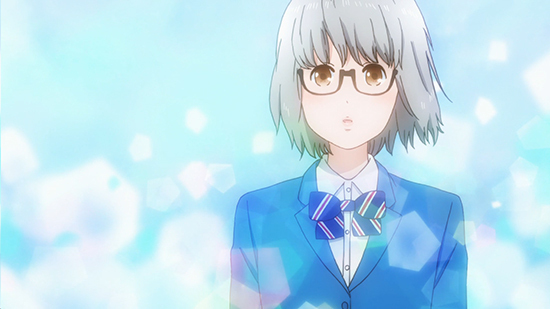 This guy is the main character of a show with megane in the name and is about as obsessed with glasses as can be. In fact, the entire cast of MEGANEBU! might as well be on this list, considering they’re all in a “Glasses Club” and wear glasses. Some are more passionate about glasses than others (no one can beat Soma) but they all look dashing. The powers of the megane are mysterious and unfalteringly cool… most of the time. Sometimes they’re just too cute for words. Who’s YOUR favorite glasses character? Let us know via Facebook, Twitter, Tumblr, and Google+!